.... slain from the foundation of the world (Revelation 13:8). ....I will put enmity between thee and the woman, and between thy seed and her seed; it shall bruise thy head, and thou shalt bruise his heel (Genesis 3:15). 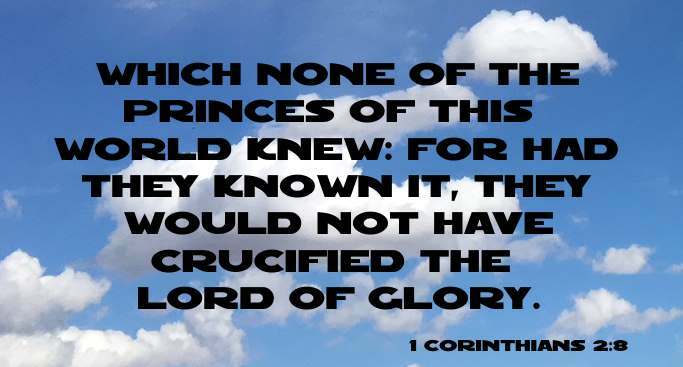 Which none of the princes of this world knew: for had they known it, they would not have crucified the Lord of glory (1 Corinthians 2:8). Yes, Adam’s one sin brings condemnation for everyone, but Christ’s one act of righteousness brings a right relationship with God and new life for everyone. Because one person disobeyed God, many became sinners. But because one other person obeyed God, many will be made righteous. God’s law was given so that all people could see how sinful they were. But as people sinned more and more, God’s wonderful grace became more abundant. 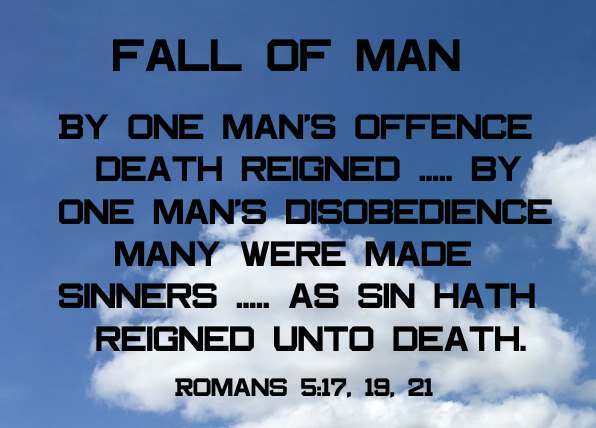 So just as sin ruled over all people and brought them to death, now God’s wonderful grace rules instead, giving us right standing with God and resulting in eternal life through Jesus Christ our Lord (Romans 5:18-21).